Amidst all the talk about climbing hitting the big time is a topic that few are commenting on, namely the environmental impact of the materials we are using and especially absent is the subject of climbing holds, their manufacture and toxicity and their afterlife. With a new gym popping up every week somewhere and the high use-rate of holds in gyms and resultant wear and tear, increasing numbers of holds are going to wind up, well somewhere. As far as I can tell they are not recyclable so, while they are relatively inert once made and hence not terribly damaging to the environment, they are going to start piling up like used tires, albeit thankfully on a much smaller scale. The toxicity of their manufacture is a whole different level of ick, one that the industry is apparently not anxious to discuss. Furthermore, honestly, I am growing less and less fond of the feel of plastic holds especially over time as once tacky slopers become slippery gray blobs. Even newer holds overemphasize texture with rough, abrasive surfaces that shred hands and fingers and tear through expensive boot rubber. And the trend towards bigger more volume oriented shapes means even more plastic is being produced and eventually discarded. There has to be a better way, especially for home gyms, training walls and system boards. Back in the day, climbers made climbing walls with wood with very effective results (see also the short film Splinter) and it's great to see more sophisticated versions of wood holds being marketed. Especially high-quality are the products of Tension Climbing, an outfit here in Colorado with the widest assortment and best looking (and feeling) shapes in this format that I have seen. Photos below are from my wall. Tension founder Ben Spannuth, who is a friend of mine, dropped off a box of holds to try out which I put up on my home wall. The angles on my wall sit around 35-45 degrees which is perfectly suited to these holds. The finish is perfect, sanded smooth but not polished, with a hand that promises comfortable use even on sore skin. The shapes themselves are ideal for serious training, being neither sharp nor irregular and lending themselves to hard moves and dynamic catches. The shapes would translate well to plastic but the texture is the real bonus with a slightly rough dry feel that no plastic surface could hope to emulate. I really think it's time that the climbing industry seriously consider the widespread adoption of wood holds. It's a no-brainer for home wall builders to adopt wood as the standard. Wood holds have no toxic off-gassing, can be easily sanded or modified with a non-toxic result (i.e. only sawdust) and if they break or wear out, they can be added to the kindling pile or chipped (remember to pop out the washer!) again with no toxicity and 100% biodegradability. They would work very well with volumes, which themselves should be made of simple non-toxic materials, helping to make the recent fad of gargantuan blobs a lot less harmful to the environment. Naturally this applies to other training holds such as hangboards and campus rungs. Tension makes excellent campus rungs from wood along with balls and pinches as well as nice-looking hangboard options that deserve a look. Molded hangboards abound on Craigslist and no wonder, they are hard on the skin and joints. Wood should be the standard on hangboards for all the environmental reasons above as well the critical element of providing the best surface for effective high-stress training. Nothing equals it. I highly recommend checking out the website for a preview of Tension Climbing's products and philosophy. Ben and Will Anglin, Tension's other half and head coach at Earth Treks gym in Golden, are high-end climbers in their own right who take the idea of creating superior training equipment very seriously. I guarantee you will find something you like there. If you want to support high-quality, earth-friendly climbing gear, all made in the USA from sustainable materials, go order some holds. When you do, you know you're doing your part to keep one more last-years-style-neon-pink-blob out of a landfill. In the recent Bouldering World Cup at Vail, there were four injuries serious enough for competitors to have to pull out of finals, perhaps the most spectacular being Alex Puccio's knee getting hurt in iso. There's a short story on this on 8a.nu. All these climbers were experienced, very strong and as far as I know were professionally coached. Yet they fell prey to the specter of injury. It's unlikely that you have not already suffered something similar or know someone who has within the last year. Climbing injuries, as in any sport, are a simple fact of life. Rarely do serious climbers go for too long without something turning up and given the increasingly extreme body positions, dynamic movement, and of course ever smaller holds, this tendency is not likely to go away any time soon. Climbing at a high level imply demands a great deal from body parts not intended for that level of stress. So the question is, "How can I manage the risk of injury while still training and working on harder climbs?" And the answer to this is not simple. There are no shortcuts or easy solutions, no wonder salves or miracle devices that will remedy climbing injuries. The master of writing about things in climbing that have no easy solutions is, in my opinion, Dave MacLeod. There is no better writer in English on the subject of getting better in climbing, and I cannot think of any with a better track record on hard routes of every type, including hard bouldering. In his book, 9 Out of 10 Climbers Make the Same Mistakes, he delivered a clear message that if you want to get better you need to take a clear, objective look at what you are doing wrong. This could mean some fairly harsh self-appraisal in the process. In his new book Make or Break: Don't Let Climbing Injuries Dictate Your Success, he takes a similar tack, encouraging climbers to look at all the dimensions of injury, especially climbing and training practices and attitudes that increase the chances of injury. He writes, "Even though injuries often seem to be an accidental misfortune it is likely that the causes are are things under your control. You just didn't know it." 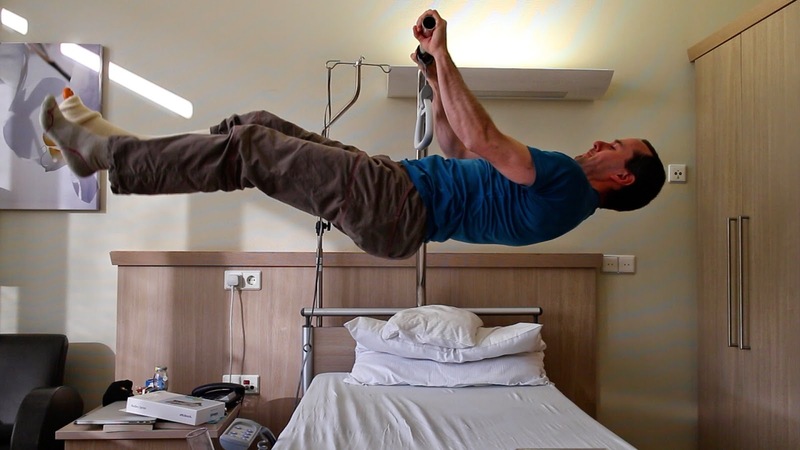 Finding the balance between healthy productive training and climbing and injury-provoking unproductive training and climbing has long been the holy grail of serious climbers. The internet and social media has complicated this quest by dumping dozens of possible approaches, many of them without context or explanation and often in the form of "training" videos that showcase the abilities of marquee climbers to do one-arm campus boarding or one-finger front levers or whatever. Training for climbing however is a much more complicated process than imitating the achievements of the famous. A World Cup champion told me recently that the things he did in one of these videos were the result of years of careful training and preparation and certainly not to be imitated without a similar period of training. Climbing in particular is, as MacLeod puts it, at an "embryonic stage" when it comes to understanding its biomechanical principles. Only recently, for example, have researchers begun to understand the physiology of tendon overuse injuries. Figuring out the best ways to productively stress body tissue and perhaps more importantly, productively recover from these stresses is still in an incipient state. The media reports breathlessly about the latest greatest sends and sponsors are eager to tout their athletes' strength and achievements. Sometimes it seems like all we have to do is go "a muerte" and miracles will happen. MacLeod reminds us that more likely than not, the bill will come due sooner or later, regardless of age or skill level, unless we correctly manage the stresses of training and climbing. For MacLeod, the key elements for injury prevention are self-knowledge combined with a constant vigilance for bad technique and an awareness of the most likely scenarios for injury. Managing expectations for training and climbing is a critical component for navigating the path between productive and injurious stress. Awareness of good body, limb, and hand positions as opposed to mechanically disadvantageous ones is critical to learning the most efficient movement pathways. Often overlooked are tactical strategies. Shoe fit, chalk, impromptu competitions, climbing when tired, all can play a role in setting up the conditions for a serious injury. Finally adequate attention needs to be paid to posture and resting. As Macleod writes, "Amateurs are essentially trying to lead a double life, one with family and work commitments and another of training." Multiple non-athletic stresses can add up to poor physical and psychological recovery, chief among which is lack of sleep. Lack of mental clarity and focus can cause significant issues while training and climbing. But what if you do get injured? What then? How can you recover effectively and as quickly as possible. Again Macleod's advice is realistic, accurate and well founded in personal experience, not mention a copious amount of reading in scientific and medical journals. Climbers are notorious for seeking out quick fixes for injuries and MacLeod discusses many of the more popular modes of therapy but with the cautionary note that "there is a gross lack of hard scientific research evidence for their effectiveness in achieveing long term recovery from soft tissue injuries." A similarly skeptical and conservative approach to drugs and surgery is expressed which is certainly to a climber's benefit owing to uncertain (except in obvious cases) benefit and problematic side effects. It's clear that the only effective approach to treatment is serious research and conversation with peers and medical professionals, the latter an especially dismal task in America given our haphazard and expensive medical "system." A couple of effective and short chapters on the psychological dimension of injuries and special issue relating to youth climbers follows. The latter is an increasingly important aspect of climbing training, not least because relatively few youth coaches have any serious background in sport science at this point. I recommend this chapter especially to youth coaches and would be surprised if a proper text on youth climbing coaching doesn't appear soon. There is a real need for it. The remainder of the book focuses on specific physical aspects of climbing injuries looking at typical problem spots such as elbows, shoulders, fingers and lower body areas, the latter being of particular interest to boulderers. Injuries to ankles and knees from impact upon landing are a serious problem. These chapters are invaluable reference points for climbers having to deal with the classic issues of elbow pain and finger pulley tears. Again MacLeod is not preenting magic cures or secret tricks, just thorough complete discussion of what we know and can do about these injuries. I would unhesitatingly recommend this book both to climbers and health care workers interested in treating climbers. It is the best single authoritative resource in English on the subject from a climber with extensive personal experiences with injury (recounted in the back of the book) and experience at the top of the sport across multiple disciplines. It's not an inexpensive book but if it saves you the expense in terms of time, effort and hard cash that an injury can involve, it is well worth it. For bouldering, there are three essential tools: shoes, chalk and pads. Of these three, shoes probably get the most attention which makes a certain degree of sense. But the fact is that most of us really have no clue about the nature of the stuff we put on our hands to keep them dry. I have been increasingly frustrated with the chalk manufactured and sold by the bigger names in the industry, noticing that its texture and drying power seemed "off" somehow. I was also concerned about the nature of the "drying agents" and the lack of transparency in regard to the actual ingredients involved. Some of this I addressed a few years back in a post called "The Chalk Review"
Since then some better chalks have emerged including that branded and sold by Mammut which I have used successfully in the past. However the most interesting development is an entirely new company, based in Colorado, called Friction Labs which has basically taken the approach of creating and selling via mail-order pure pharmaceutical grade chalk designed specifically for different kinds of climbing situations. Kevin at FL was kind enough to send some samples my way that I had the opportunity to try out over the past few months, mostly in RMNP and the gym. There are three varieties of texture called Bam Bam, Gorilla Grip, and Unicorn Dust. Across the board, I was struck immediately by the excellent "hand" of the different chalks, what I would describe as a dry and slightly tacky feel when your fingers rub together. This tended to remain the case when actually gripping holds even the slippery and conditions-dependent gneiss of Lower Chaos Canyon. Kevin at Friction Labs explained that the key is the high percentage of magnesium carbonate which acts to trap moisture inside the chalk. Other chalks contain larger amounts of calcium carbonate which lacks this absorbent capacity, not to mention other unspecified filler materials. I recommend you read the chemical analysis posted at the FL website, something that to my knowledge no other company has done previously. Personally I preferred the chunkier harder texture of the Bam Bam variety but I recommend you try out each of the different textures to see which suits your skin and climbing style the best. The only caveat is the price as it is much more expensive than other climbing chalks. However the subscription plan price includes free shipping and handling, an arrangement which is a real plus in making sure you always have the good stuff at hand, so to speak. Otherwise if you are left at the mercy of the local climbing shop's stock, you may be stuck with one of the "other" chalks, something that I have found makes a real difference, especially if you are working problems right at your limit. For serious climbers, I think this is a great development and a chance to help a small start-up providing a very high quality product and service at a reasonable price. If you are looking for an extra tool for getting better results from your valuable climbing time, I strongly recommend checking them out. Over the past decade, Mark and Mike Anderson, brothers with a lengthy and substantial climbing record across disciplines, have been developing a training protocol called the Rock Prodigy Training Method. It’s clearly having results. For example, Mark has emerged as a very strong climber, repeating various testpieces here in Colorado and in Utah and Oregon, as well as doing 5.14 first ascents in places like Clear Creek Canyon and Shelf Road. When their book The Rock Climber’s Training Manual (referred to from here on out as TRCTM) came out I was very interested to see what they would come up with. As a climbing book author myself, I understand all too well the challenges inherent in gathering and presenting what can be at times a very complex subject. Fixed Pin Publishing very kindly sent me a copy of tTRCTM for review and I was immediately impressed by the richness and finish of the book. The writing is very clear and the organization logical and coherent. The basic premise of the book is that climbing improvement is a quantifiable process and that a climber who wants to improve has to base that process on a predictable plan with measurable goals and benchmarks. I think on this level alone the book is very successful. TRCTM is primarily intended for mid-level to advanced sport climbers, an audience that is more likely to be interested in the kinds of progression outlined in its pages. This is both its strength and weakness, at least as far as bouldering is concerned. The front cover and indeed many of the illustrations throughout the book are from the Red River Gorge and Smith Rock, areas that emphasize continuous endurance climbing and in the case of many routes in Smith, relatively low-angle technical small hold climbing. The Smith Rock photos especially give the book a bit of a retro feel, since the progression in high-end sport and bouldering in America has been on relatively steep power-endurance routes such as at Rifle or problems like those found in RMNP or Hueco Tanks. The gist of TRCTM is that following periodized cycles of training will result in the greatest gains for your climbing, something that has been at the heart of most training books in English since the groundbreaking (and surprisingly current) Performance Rock Climbing by Dale Goddard and Udo Neumann was published back in the 90s. Establishing levels of strength, power and power endurance by means of the hangboard and campus board along with regular trips to the gym are the heart of this training program. Reviewing the basic outline of the training programs in the book, I found the workout plans and tactics made sense, although I found the means by which one finds the optimal weight at which to train on a fingerboard not entirely easy to understand. I am terrible with charts and graphs, though. Everything is presented in a relatively logical and analytical fashion and this is reassuring to anyone embarking on a training plan. It’s a solid and comprehensive guide to getting better, no question, especially for sport climbing. For the specific pursuit of bouldering however I think this book could stand some revision. Among other things I found curious was the proposition that hangdogging and refining beta while working routes was easier and more typical than in working boulder problems because the boulderer climbs from the ground. In actuality boulderers often work problems close to the ground with sit starts or steep features that allow stepping into crux moves or sections quite easily. Boulderers are obsessive with refining beta to a degree that might astonish some sport climbers unfamiliar with this aspect of the sport. A closer look at the practices at the leading edge of bouldering today would help iron out some of these issues. In terms of training, bouldering is not just about adding more intensity or weight, it is also about mastering very different body positions, learning types of dynamic movement, coping with mental pressures, and developing effective tactics for safe successful attempts on problems, all in ways that will differ drastically from an enduro route in the Red. Boulderers need to closely understand complex heelhooking, kneebars, toehooks, and the overall intricacies of compression climbing. 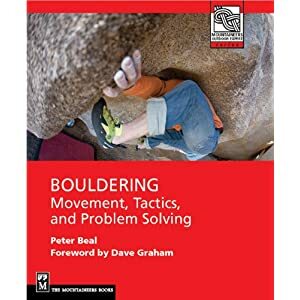 Dynamic movement, though key in bouldering, is given relatively small space in the text as a whole and not much in the (very short) section dedicated to bouldering. Of course in bouldering dynamic climbing is critical to success on any limit problem. The mental pressures of working out multiple limit moves that must be linked flawlessly are similar to sport climbing but take on a qualitatively different intensity in bouldering where success and failure can occur almost arbitrarily. In other words, if training for climbing can be described as a science, as TRCTM clearly intends, bouldering still feels more like an art where criteria for advancement seem qualitative and subjective. Is TRCTM desirable for boulderers? Yes and no. Given the relatively short space dedicated to the sport in the book, it is clear that it’s not primarily intended for bouldering, though ironically bouldering is seen as critical in providing power for improving one’s sport-climbing level. However, for any climber looking for a current and comprehensive understanding of the basics of training theory as it applies to climbing overall, TRCTM is a great and relatively inexpensive place to start. The effort and diligence of the authors is apparent throughout and the publisher’s care in terms of layout and production is clearly evident. But for bouldering training specifically, it has significant limitations. The book on bouldering training hasn’t been written though I have been working on it a bit. Watch this space.